This morning I have finally cleared the latest sedimentary layer off the table so I can now see my projects and all the work I need to do! 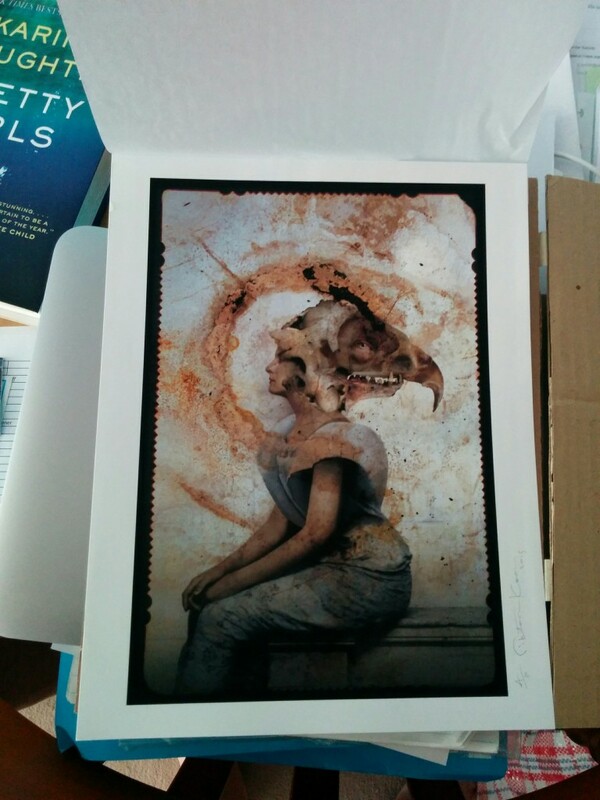 One of the things I did at last was open the print of the gorgeous Viktor Koen artwork that I wrote about for the bestiary/exhibition guide (thanks to Ellen Datlow for the invite). Now to get it framed. This entry was posted in News and tagged bestiary, ellen datlow, erinya, Viktor Koen. Bookmark the permalink.